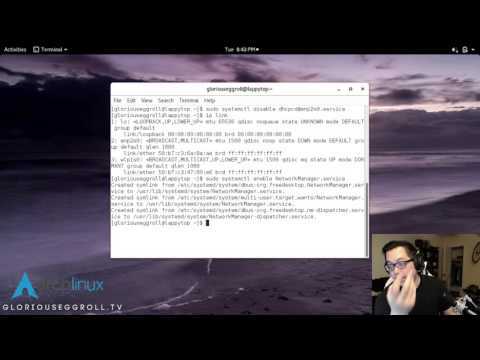 GloriousEggroll's Blog » 2016 Arch Linux NetworkManager / Wifi Setup guide. 2016 Arch Linux NetworkManager / Wifi Setup guide. This is a quick rundown of getting your internet setup in Arch. Then select your wifi network and follow the prompts to connect. Anything starting with wlp is a wireless device. When you log in, gnome or any desktop environment that allows network-manager-applet to run at start will have the connection status listed in the system tray, with options clickable for configuration (including connecting to various wifi networks listed).